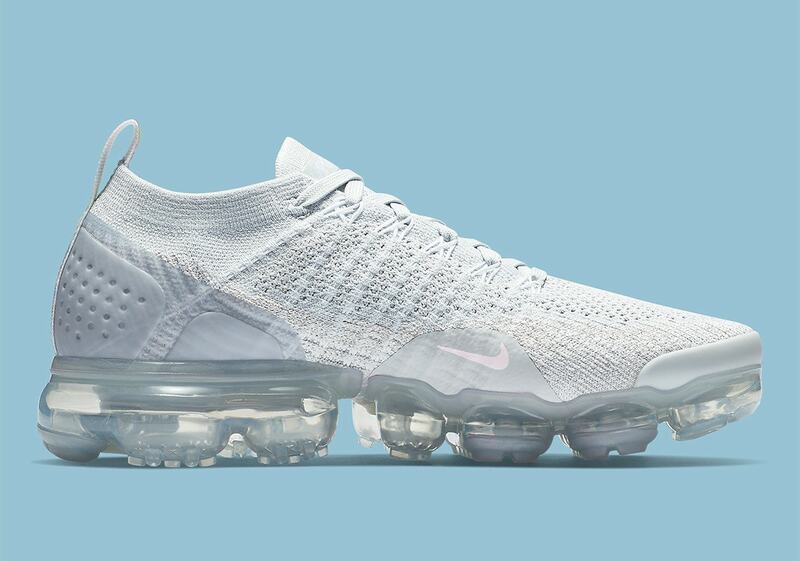 The Nike Air Vapormax Flyknit 2.0 is one of the brand’s most popular silhouettes this year. To help keep up with demand, the Swoosh had regularly dropped exciting new colorways, like this pair with floral accents, arriving in stores soon. Nike is back with a brand new colorway of the Nike Vapormax 2.0 Flyknit. The silhouette has been widely available for several months now, and it has been an absolute hit. The new color blocking and has allowed for more exciting color schemes, which in turn appeals to a wider audience, and the silhouettes ability to toe the line between sport and style has made it impossible to ignore on the streets. As always, Nike is continuing to add new colorways to their arsenal with each passing month, and one of December’s pairs might be the subtle colorful touch many are looking for. 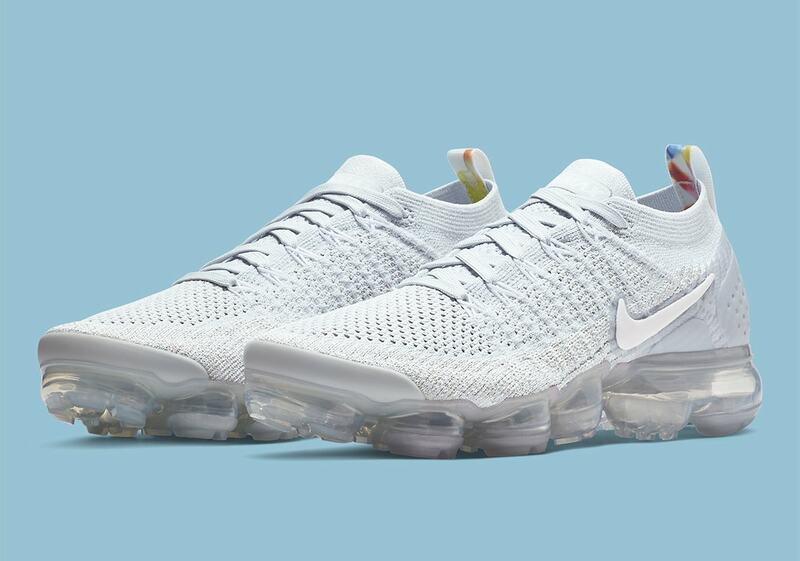 The new “Floral” Vapormax 2.0 begins with an all-white Flyknit upper, matched by a plain translucent Vapormax sole. 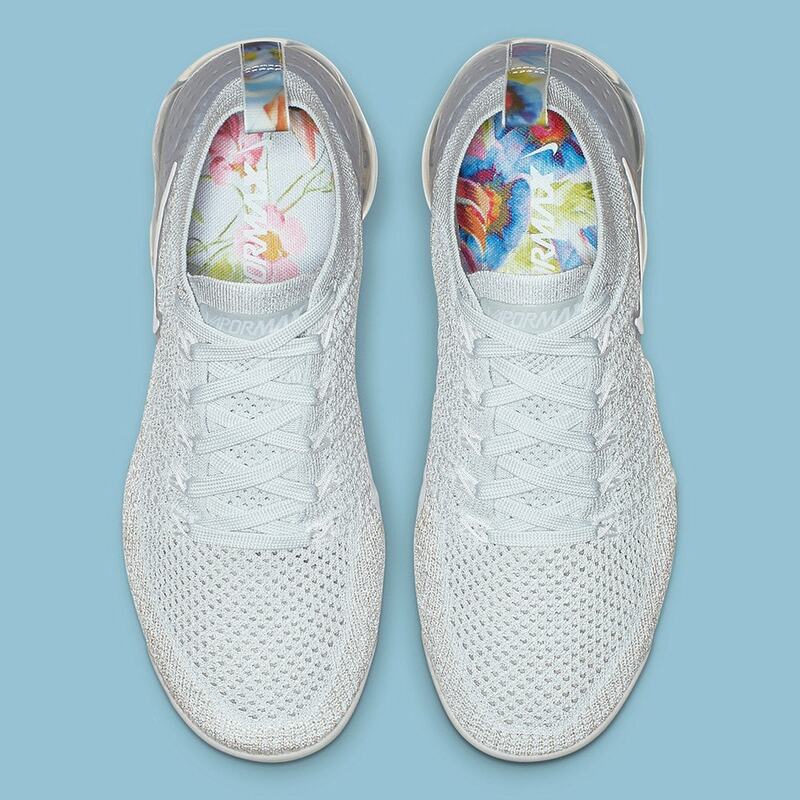 The heel tabs and inner lining are all covered in a bright and colorful floral print, giving the white look a perfect pop of vibrancy. 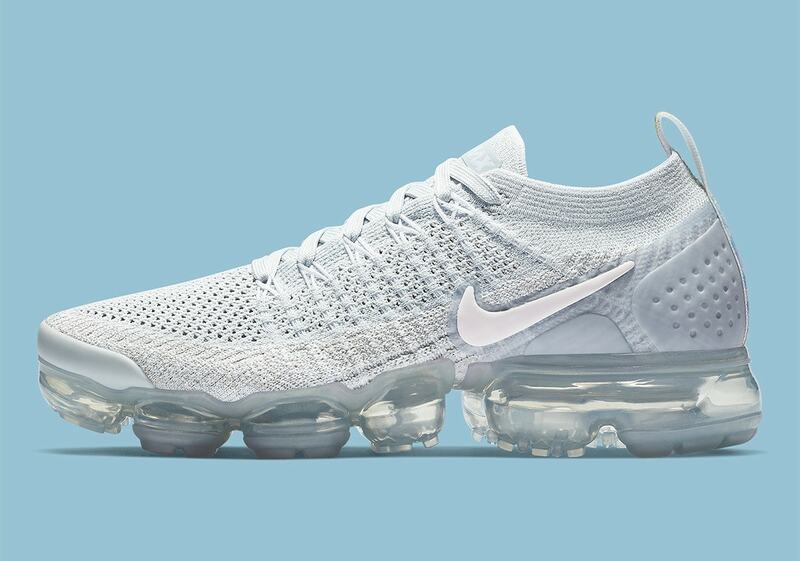 The next colorway in line for Nike’s Flyknit Vapormax 2.0 has not yet been announced for release, though they are expected to drop soon. 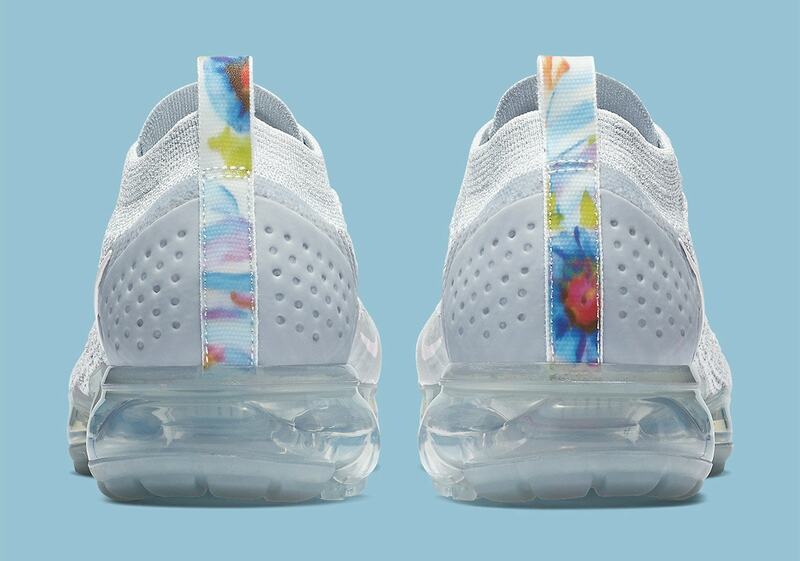 The floral print colorway will retail for the usual $190 price tag, and launch from both Nike and select retailers. Check out the official images below for a better look, and stay tuned to JustFreshKicks for more Nike Vapormax news.